I watched Bill McKibben’s movie about his “Do the Math” Tour last night, and got to watch some of my good friends and personal environmental heroes getting arrested for civil disobedience protests against the Project XL pipeline. 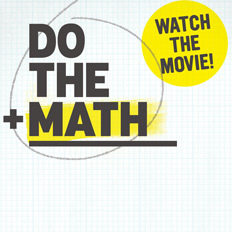 McKibben’s “Do The Math” campaign draws on the civil rights protests against 1960s segregation as well as the 1980s divestiture campaign against South African apartheid as a model for the ultimate 21st century climate protest. McKibben points out (as he did in his 2012 Rolling Stone article) that the world can only afford to burn another 565 GT of CO2 equivalent by mid-century if it is to avoid catastrophic climate change. Identified reserves held by oil and coal companies exceed this threshold by five times over, and the globe is on track to cross the mid-century threshold in just 15 years. McKibben points out the huge climate externalities of the fossil fuel powered energy system and lays these externalities at the fossil fuel industries’ feet. The fossil fuel industry is fouling the global atmosphere with its combustion products in pursuit of obscene profits without having to pay for its pollution impacts. McKibben hopes divestment from fossil fuel investments by universities and public pension funds will force the fossil fuel industry to limit its climate impact. All of which I heartily agree with, but McKibben leaves out one important point: the fossil fuel industry can’t make its obscene profits and cause its huge externalities without the willing participation of its accomplices: everyone who burns fossil fuels. That is, pretty much all of us. While it may be fair to lay the environmental externalities of fossil fuel combustion at the feet of the fuel suppliers (who know and expect that that is the result of the end use of their product), these environmental externalities also lay at the feet of the fossil fuel consumers, who benefit from burning oil, gas, and coal without paying for the climate impacts that result. While it might be fair to blame the drug pusher for crimes committed by addicts to support their habit, it seems a little odd to hear the addicts blaming the pusher for their own crimes. So, here is the simple math that Bill McKibben does not do: 565 GT of CO2 max the planet can burn in the 37 years between now and 2050 works out to a maximum of about 15 GT per year. There are some 7 billion people on earth. More simple math: 15 billion tons per year divided by 7 billion people equals roughly 2 tons per person per year, even assuming zero population growth. Assuming that for most people their total carbon footprint is about twice their direct personal carbon footprint, that leaves about one ton per person per year globally as a maximum direct carbon footprint. That’s about 100 gallons of gasoline (20 lbs CO2 per gallon). That’s enough to drive the average car 2,100 miles, or a Prius hybrid 5,000 miles. Or it’s enough for a single one-way flight from New York to Los Angeles. Maybe one flight round trip, if one assumes the lowest carbon impacts presented by various carbon calculators. I don’t know anyone living on that kind of a carbon budget. I try hard, but the best I can do is to aspire to limit my direct footprint to three or four tons per year. The austerity of a sustainable global per-capita carbon footprint forces one to confront one’s true feelings about global inequality: my three ton carbon footprint is only sustainable if one assumes six people elsewhere on the planet living with one-half the sustainable one-ton per capita limit to make up for it. But, for the past week, as a personal challenge for Earth Week, I have given up direct fossil fuel consumption entirely: I am in the seventh day of completely avoiding using any fossil fuels for heating, lighting, cooking, or transportation. This meant turning off the heat and hot water in my house, and cooking with an electric crockpot and microwave. I pay a few cents extra for 100% wind electricity at my house, so I didn’t have to turn off the lights. Two days this week I biked and kayaked to work; three days this week I rode my electric motorcycle that is charged by solar panels at my house and at the E-House at Pace. The only thing I am really really missing is a hot shower! Bill McKibben’s “Fossil Free” campaign means divestment. But, as McKibben points out, the technologies to eliminate fossil fuel use are already available. They just happen to be more expensive and less convenient, so consumers don’t choose them — a classic case of consumer environmental externalities. Why not a “Fossil Free” Campaign for a boycott of the fossil fuels? Now that would really bring the fossil fuel industry to its knees. You bring up a great point about consumption driving the problem. If everyone angered just a 10% reduction in consumption, I’d have some faith that we can continue to work toward a long term solution. But I see many people who advocate for the environment, continue to selfishly consume energy and pollute their lawns with impunity. Right on, Bob. I think the first step is to make people aware not only of what their carbon footprint is AND how this compares to some defensible concept of what a sustainable carbon footprint is. None of the major environmental groups – and not even 350.org – will come out and say 2 tons of direct carbon footprint for an American is just about the maximum that could be considered sustainable (and it assumes that America consumption patterns would still be well above the world average). The people I know who have the largest carbon footprints are all environmentalists who fly a lot. They aren’t hypocrites, they just haven’t “done the math,” and no one is making them do the math. Excellent article – I shared it on 350.orgs Facebook page. It’s something that most people, but especially environmentalists, don’t want to confront. Thanks for this post, Prof. Coplan. I, too, would like to see more focus on the changes that we can make as individuals. The book also has detailed advice on how to advocate for change in our communities, workplaces, and government institutions. So, the Union of Concerned Scientists is encouraging us to make personal changes, and also to work for change in the wider world. It makes sense to me for 350.org and other groups take a similar approach.